The timing to re-post this Behind the Scenes article from Fame'd May 2010 is perfect. 2013 is the 20-year anniversary of Dream - an astonishing accomplishment that few other independents can claim. In it's inviting Gastown space you will find a wide range of local designers represented. This boutique is one of only a few that have a focus on supporting local. So grab a nice cuppa tea or glass of wine, put of your feet up and enjoy. It's time to celebrate 20 years of supporting Vancouver fashion! What do local designers Dace, Mandula, Allison Wonderland and Paperbird have in common? 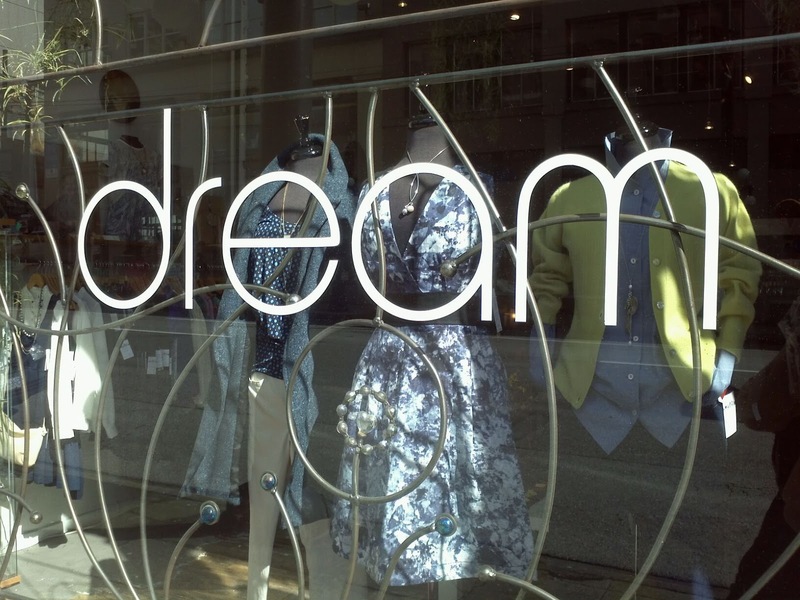 One of the first stores to sell their creations was Dream in Gastown. Today there are many boutiques that feature local designs, but when owner Wendy de Kruyff opened 17 years ago there were very few. Instead of having to provide a full collection, designers were allowed to put in just a few pieces at a time. She provided a chance to earn those first sales, answered their questions and gave valuable customer feedback. The tradition continues to this day. De Kruyff was born in Amsterdam, but has lived in many parts of the United States and Canada. She landed in Kelowna at the age of 13. Punk Rock, Alternative, New Wave, fashion and everything 80's were passions. She often visited friends in Vancouver and by 15 was selling her creations in local boutiques. "I met people at the cute stores in the neighbourhood and they would offer to sell them. I made earrings and jewellery as well as a lot of little sailor hats - kind of like berets with a tie down the back. I also used to make mini-skirts and other things I would want myself but couldn't find." A week after her 18th birthday she packed her bags and moved to Vancouver. Her first job was at a vintage clothing store called Deluxe Junk. Dream in 1993. Only 26 at the time, she remembers, "For me, necessity is the mother of invention. Essentially I needed a job. I was creating things and I had the opportunity to open a store. It basically started out being my designs. Next a few of my creative friends began selling their stuff in my store. Then it grew from people I knew selling in the store to complete strangers. It just happened organically." The focus on local also evolved because the store is run on a consignment basis which limits stock to artists in the area. While De Kruyff loves fashion, she is not caught up in trends. 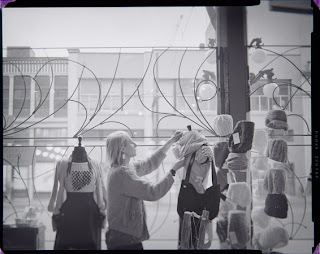 It is about self-expression ("I try never to be a fashion fascist") and the very eclectic mix of garments in her store is a testament to that outlook. Clients include every aspect of the scene from fashion victims looking for something unique to those who do not like to shop in the malls. Her take on the industry has been honed even further since the birth of her son seven years ago. "I've always had an issue with fashion. Is it important? Yes and No. I find it hard to take the frivolity of the industry very seriously when looking at the real things in the world. That being said, even in places where there is terrible strife people still find some comfort in clothes. There are creative people in the poorest countries that want to create something interesting in fashion." Looking back over her time in the industry, there have been several things de Kruyff was surprised by. First were the economic factors. When Dream opened she didn't even realize a recession was happening - we are now in our third. The question is posed as to how many are actual recessions and how many are fuelled by sensational news reports. There is no easy answer. Second has been the reality of how much time the business end of things takes. Add in family time and there is little left for personal creativity. Rising designers often mention they would like to open a store and her response is always the same, "No you don't. Become an established designer and then you can think about opening a store." The biggest change in recent years has been the explosion of small boutiques that feature local designers. The economic effect is hard to predict. Will this increase the number of customers shopping for local goods, or will the slice of the pie be reduced for each store? Over the last 17 years, the Gastown area has gone through several incarnations and Dream continues to weather the changes. For de Kruyff, Monday afternoons are still set aside as a time to meet new designers and see what they have to offer. Most find her the old school way - by word of mouth - and organic continues to be the philosophy that guides her days. 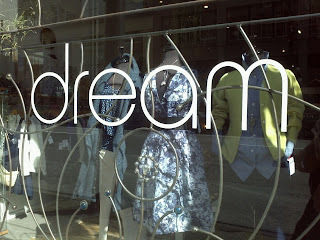 For more information, please visit the website at www.dreamvancouver.com.